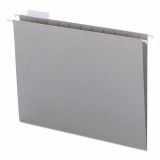 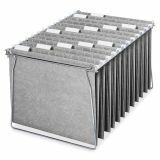 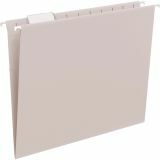 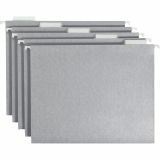 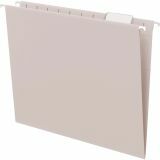 Smead Colored Hanging File Folders, Letter, 1/5 Tab, Gray, 25/Box - A popular choice for desk drawer files, these colored hanging folders keep papers neatly vertical in the file. 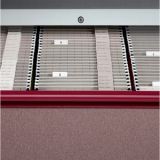 Coated rod tips slide easily on file drawers. 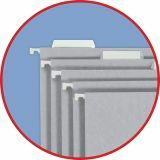 Included clear poly tabs can be positioned in the slits along the top edge in several locations. 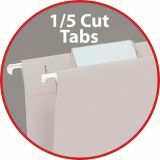 Repositionable poly tabs are 1/5 cut and 1/2 high. 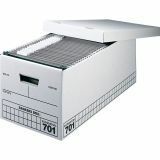 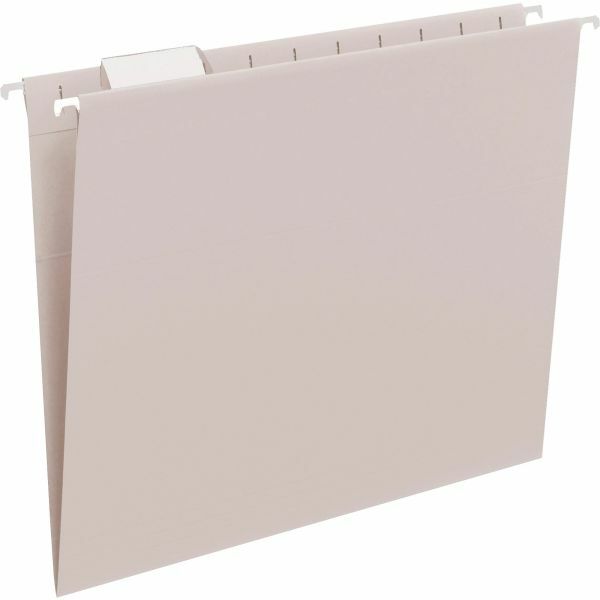 Hanging folders include replaceable white inserts. 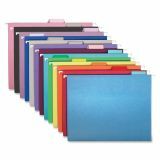 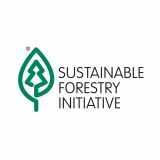 Use with colored interior folders to prevent misfiling. 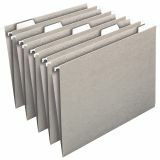 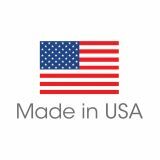 Hanging folders are made of 11 point color stock and include white inserts."